7 January: The Pentagon accused Iran of intercepting three US Navy ships in the Strait of Hormuz on 5 January, stating the five Iranian boats had made aggressive manoeuvres and showed hostile intent towards US ships. 14 January: The Bush administration notified Congress of its intent to sell US $20 billion in weapons, including precision-guided munitions, to Saudi Arabia. The announcement coincided with President Bush’s arrival in Riyadh for a visit, the same day. 15 January: President George Bush warned Iran, on the second day of his visit to Saudi Arabia, that it would be held responsible if American ships were attacked in the Persian Gulf. 20 February: A US Navy SM-3 missile, soaring over 210 kilometers above the Pacific smashed a dying and potentially deadly US spy satellite. The satellite, which was the size of a school bus, carrying half-a-ton of frozen toxic rocket fuel was heading towards earth. 29 February: The US Navy sent ships to the eastern Mediterranean Sea in a show of strength during a period of tensions with Syria and political uncertainty in Lebanon. 2 April: US President George W. Bush renewed urgent call for NATO nations to allow Ukraine and Georgia to start the admission process over Russian objections, and to counter Osama Bin Laden’s latest threats to Europe by stepping up their efforts in Afghanistan. 10 April: During the Russian-American summit in Sochi, Mr. Putin and Mr. Bush issued a “strategic framework declaration”- a roadmap for their successors. The two leaders “expressed their interest in creating a system for responding to potential missile threats in which Russia and the United States and Europe will participate as equal partners”. 10 April: U.S. President George Bush, in a speech at the White House, issued a warning to Iran to stop interfering in Iraq and characterized Iran and Al-Qaeda as “two of the greatest threats to America”. 14 April: The News Daily reported that United States had sought a direct access to the Pakistani National Command Authority (NCA) Secretariat, the body controlling Pakistan’s nuclear assets, for an American official posted at US embassy in Islamabad. 17 April: The Bush administration released detailed photographic images to support its assertion that the building in Syria that Israel destroyed in an airstrike last year was a nuclear reactor constructed with years of help from North Korea. 6 May: In Moscow, the United States and Russia signed an agreement to allow the development of nuclear energy for civilian purposes, expand trade and strengthen efforts to prevent nuclear proliferation. 9 June: In a closed door meeting with rank-and-file airmen of U.S. Air Force, Defence Secretary Robert Gates stated that the importance of the U.S. nuclear arsenal was likely to grow in coming years as Russia moved to strengthen its nuclear forces. 20 June: The US gave three week deadline to the Pakistan government to decide whether it wanted to continue cooperation in the war on terror or face suspension of the US aid which Islamabad has been receiving since 2001 after it committed to active role as a US ally. 26 June: A report by Federation of American Scientists stated that Washington had removed its nuclear bombs from the Royal Air Force base at Lakenheath, Suffolk, where they were stationed. 2 July: A top Pentagon report revealed that most of the US nuclear weapons stored overseas, particularly in Europe, were short of security upgrades, drastically needed for the safety of the arsenal. 2 July: US President George W. Bush said that military options remained on the table in nuclear disputes with North Korea and Iran but underlined that he preferred a diplomatic resolution. 13 July: US President George W. Bush gave Israel permission to begin preparations for a military attack on Iran, in case talks over the country’s controversial nuclear programme failed to yield results. 16 July: The United States decided to send William Burns, the Under Secretary of State for Political Affairs, to attend international nuclear talks with Iran, marking a major shift in Washington’s policy on negotiations with Tehran. 21 July: Democratic presidential nominee Barack Obama warned Pakistan that his administration would strike at Al Qaeda targets there if Washington were to get actionable intelligence on the presence of terror groups. 29 July: The US Congress suspended a bid by President George Bush’s administration to shift millions of dollars ($230 million) in aid to Pakistan from counter-terrorism programmes to upgrading Islamabad’s F-16 fighter jets. 10 August: The White House warned Russia that military escalation in the Georgia conflict could have a significant, long-term impact on relations between Washington and Moscow, forcing a wholesale reassessment of America’s dealings with Russia and jeopardizing the talks on everything from halting Iran’s nuclear ambitions to reducing strategic arsenals to cooperation on missile defences. 17 August: The US and Poland signed a deal to station elements of a US missile defence system on Polish soil. 9 September: President George W. Bush froze the US-Russian civilian nuclear pact in protest against Moscow’s military moves in Georgia. 10 October: The US and North Korea agreed on a compromise to get the communist nation to resume dismantling its nuclear programme with a promise to remove Pyongyang from the US list of state sponsoring terrorism. 6 November: The United States gave Russia fresh proposals to try to ease its concerns over its missile shield plans with a hope to resolve the row. It also submitted to Russia a proposal for a “legally binding treaty” to replace the Cold War-era Strategic Arms Reduction Treaty (START) when it expires in December 2009. 20 November: A Congressional advisory panel said that China had stepped up computer espionage attacks on the US government, defence contractors and American business. 5 December: Successfully conducting anti-missile defence system test, U.S. launched a long-range interceptor missile from Vandenberg Air Force Base in California and shot down a missile with a dummy warhead fired from Kodiak, Alaska. 7 December: WMD Insights report claimed that the US had given Pakistan around $100 million since 9/11 to improve security for its nuclear weapons. 30 January: India and United States signed their biggest ever arms deal estimated at Rs. 3,943 crores for the supply of six C-130J aircraft, infrastructure, spares and spare engines. 31 January: The Asian Age reported that India had transgressed its own defence policy with regard to purchasing military hardware from United States, including the Super Hercules aircraft, which was also being sold by the same vendor to Pakistan. 1 February: India and United States signed a framework agreement establishing the terms for future cooperation between the Indian Space Research Organisation and the National Aeronautics and Space Administration in the exploration of space for peaceful purposes, including in human space flight. 1 February: Following a toxic gas leak, six Indian Navy sailors including an officer died aboard USS Trenton (now INS Jalashwa), which India had decided to purchase in a $50-million deal in 2007. 27 February: US Defence Secretary Robert Gates at the end of his two-day visit stated that India-US relationship was “a wide ranging one” and emphasized that relationship would grow regardless of what happened to the nuclear deal. 27 February: India expressed its reservations about certain clauses in the End-Use Verification Agreement, which would allow the US Department of Defence officials to conduct end-use spot checks at military installations in India where US sold defence equipment is deployed. 29 February: At the sixth meeting of the High-Technology Cooperation Group (HTCG) in New Delhi, India and United States formulated an action plan to step up cooperation in high technology areas which included a time table for reviewing controls on export of high-tech items to India and simplifying U.S. policies. 14 March: The report of the Comptroller and Auditor General of India (CAG) rapped the government for buying the ageing ship USS Trenton (INS Jalashwa) in a hasty manner without proper physical assessment and technical evaluation of its seaworthiness. 9 July: During the meeting on the margins of the G-8 meeting at Toyako in northern Japan, US president George W. Bush and India’s Prime Minister Manmohan Singh discussed a range of issues pertaining to free trade, Doha Round of talks, environment and nuclear cooperation. 15 July: The US defence contractor Raytheon, at the Farnborough international air show, offered to equip the Indian military with a combat-proven surface to air guided missile system (PAC-3) designed to protect US troops from tactical ballistic and cruise missile strikes. 10 August: Indian Air Force marked its first ever presence in the prestigious Red Flag exercise at the Nellis Airbase in Nevada. 22 August: The extraordinary plenary session of the Nuclear Suppliers Group ended without reaching an agreement on a proposal to waive its restrictive export guidelines for India. It was decided to meet again on 4 and 5 September. 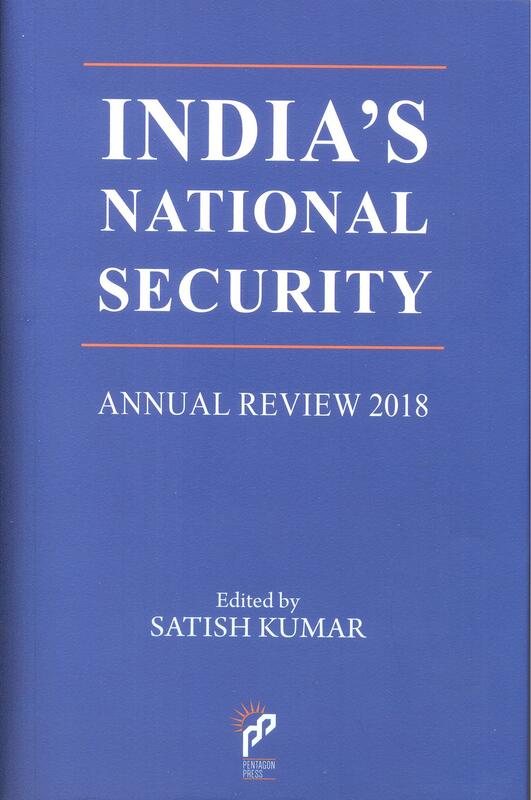 6 September: Nuclear Suppliers Group granted crucial waiver for India, which allows global nuclear commerce without signing either Nuclear Non-proliferation Treaty (NPT) or Comprehensive Test Ban Treaty (CTBT), a precondition for entering the elite nuclear club. 10 September: The US offered to India a $170 million deal for the sale of two dozen Harpoon air-to-ground anti-ship missiles to modernize its Air Force anti-surface warfare mission capabilities and improve its naval operational flexibility. 18 September: US Under Secretary for Political Affairs William Burns said that Indian government had provided the United States with a strong Letter of Intent, stating its intention to purchase reactors with at least 10,000 Mega Watts (MWe) worth of new power generation capacity from US firms. 1 October: The Senate approved the US-India civilian nuclear agreement with 86-13 votes. President Bush said the deal would strengthen non-proliferation, protect environment, create jobs and assist India in meeting its energy needs in a responsible manner. 8 October: President George Bush signed the US-India Nuclear Cooperation Approval and Non-proliferation Enhancement Act, HR 7081 into law, saying that there were no changes to the 123 document that had been submitted to Congress and that the deal provides India advance consent for reprocessing spent nuclear fuel. 19 October: The 12th edition of Indo-US joint naval exercises in Malabar began 130 miles off the Goa coast.